Keep it fun, keep it casual, and avoid getting scammed. The good: Down finds both your Facebook friends and friends of friends and gives you the option of letting them know whether you want to bang or if you’re in it for something more. Just like the dating app Hinge allows you to confirm the identities of strangers via mutual contacts, Down does the same. At least you’ll know they’re real people. The bad: Mutual matches can easily build up over time, and the app doesn’t prioritize the matches you cross paths with the most. What is an open relationship—and how do you make one work? The bad: It’s a little sketchy, mainly because it might match you with users who are very far away. According to developer responses in the Google Play store, the app is working on this problem. The bad: For women especially, safety can be an issue. With total anonymity, there isn’t much time to vet potential candidates. The bad: The app has ads, and some of them can be tacky or lengthy videos. Keep in mind that Grindr is primarily dominated by gay men. 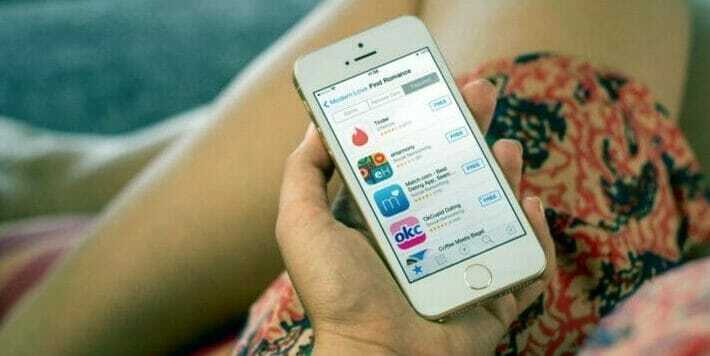 The bad: It was so much like Tinder that the app is suing the company. But any implied naming similarities have apparently been remedied in the rebranding. The bad: Again, everyone’s on it. Thus it’s difficult to avoid the embarrassment of running (swiping) into somebody you know. Also, it’s supposed to be more of a dating app, so men tend to be more subtle—which is good if you’re down to get drinks first, but not so much if you’re in a hurry. The good: Tired of searching for dates that never pan out IRL? We’ve found the hookup app for you. Tonight lets you find a date at the end of the workday and go out that night. Anyone interested in going out that night simply needs to say they’re in by 6pm. The app does the rest and sends you both your match and your location for the night. The bad: It’s currently only available in New York City, and it’s not exclusively for hookups. Avoid any confusion by adding a note about what you’re looking for in your bio! The bad: Again, you only get a few matches per day. If the app’s daily selection isn’t doing it for you, you’re out of options. The bad: Free use is limited, and a monthly subscription can get pricey. There’s also a decent amount of users who read 50 Shades of Grey and decided it was a great way to get into women’s pants—and then there are those who just watched the movie and want to get their feet wet. This dating app matches couples on things they love to hate. Introducing 2 GIRLS 1 PODCAST. Alli Goldberg and Jen Jamula (two actors who perform bizarre internet content on stage) have hilarious and humanizing conversations with Bronies, top Reddit mods, professional ticklers, video game archaeologists, dating app engineers, adult babies, cuddling specialists, vampires, Jedi, living dolls, and more.